My oldest is starting to get hormones. The hormones I don't mind, I could do without the back talking and general dislike of everything I do that goes along with it. One minute he will be angry and want nothing to do with me and the next he is wanting to sit next to me on the couch and cuddle. He is only 8, but he is definitely beginning to go thru puberty (thanks genetics for early puberty in my family!). My mother and I fought all the time when I was going thru puberty, I didn't think she could do anything right and I would be frustrated by the smallest things. I survived, but I definitely think it's easier to be the kid than the parent once hormones start kicking in. Plus my husband seems to be perfect, he's not baring the brunt of any of the dislike that is aimed in my direction. Apparently it's the beginning of years of good times to come. Approximately twice a week I bake something for an after school snack. My two boys eat everything in site and without snacks they get cranky quickly. I'm a big fan of breads, sweet, savory, you name it. 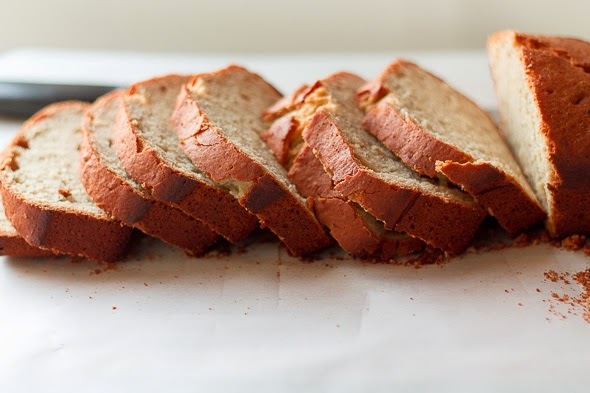 The following is a recipe for Banana Eggnog Bread that is great for this time of year. Adapted from Taste of Home Nov. 2014 issue. Combine butter and sugar and beat until well creamed. One at a time, add eggs. In another bowl beat bananas, eggnog, and vanilla. Add to butter and sugar mixture. 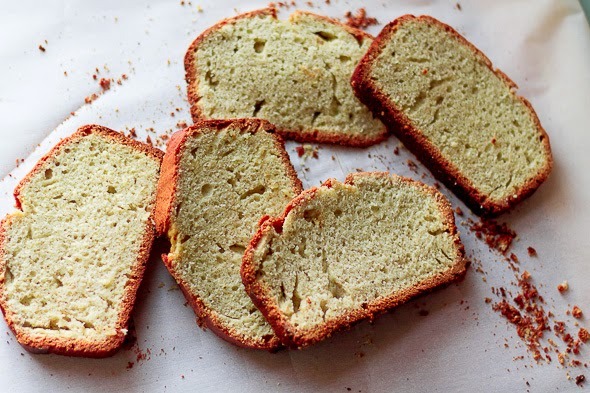 In a separate bowl combine flour, baking powder, 1/4 teaspoon nutmeg, baking soda, and salt. Add dry ingredients into wet ingredients, mix well. Bake in a preheated 350 degree oven for 60-70 minutes. Tent top of bread with foil if it browns too quickly. Cool for 10 minutes in pan and then transfer to a rack to cool completely. If the batter is too thick add additional eggnog. I have made this a few times and the amount of eggnog has ranged from 1/4-1/2 cup. 1/3 cup seems to be approximately the right amount. Make sure to tent the bread if it browns too quickly. 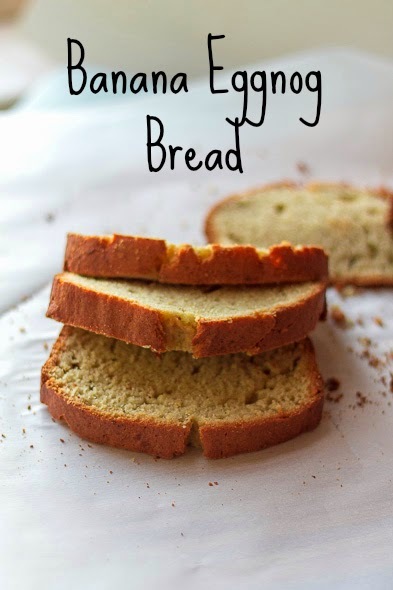 Sweet bread will often overbrown on the sides and be raw in the middle, so make sure that you tent the top if it starts to get browner than you would prefer before the middle has set.